Misri Faqeer Sindhi Old Classical Music Singer. 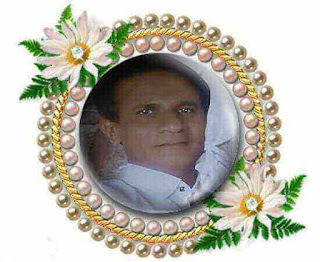 He was great Sindhi Old Folk Music, Cultural Music Singer, he created good name in Sindh Music. He played a great role in popular Sindhi Classical Music, Lok Music, Folk Music all across the Sindh. He was very master in Sindhi Old Cultural Music and enthralled the audiences with his masterful artistry. His soulful rendition has been bringing solace hearts of the peoples of Sindh. He is one of those rare Classical Musicians who expanded the peripheries of Classical Songs by taking it to the common masses. 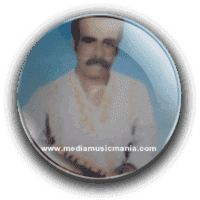 His fun in "Sindhi Kalaams" "Sindhi Kafies" was divine and used to enthrall and transfix listeners, and transport them into a different world. He played all super hit songs with great poetry of popular Sindhi poets, Such as Hazrat Shah Abdul Latif Bhitai R.A, Hazrat Sachal Sermast R.A, and other poets of Sindh. Misri Faqeer was great legendary Artist of Sindh, he was most popular on Radio Pakistan Hyderabad. He has sung Classical Lok Music in Marriage Ceremonies, Mela and Shrines of Bizrigs in Sindh and other local Mehfils. Sindhi Old stories is the people convention which has created in Sindh over various centuries. Sindhi Old Music in stores telling such as Dastans in all structures, and hues from such clear signs as the Customary to the chivalrous character of Umer Marvi, Sassi Panu and other love and affection songs in old time. Sindhi people Artists and ladies assume an indispensable part to transmit the Sindhi fables. They sang the folktales of Sindh in tunes with enthusiasm. I have selected below most popular Sindhi Songs List of Misri Faqeer.